I have spent the last week using the P30 Pro as my daily driver and most importantly, I have had this phone as my go-to camera on a trip to Paris, France, and I was eager to get some great photos. How did it work out? Read on to find out. 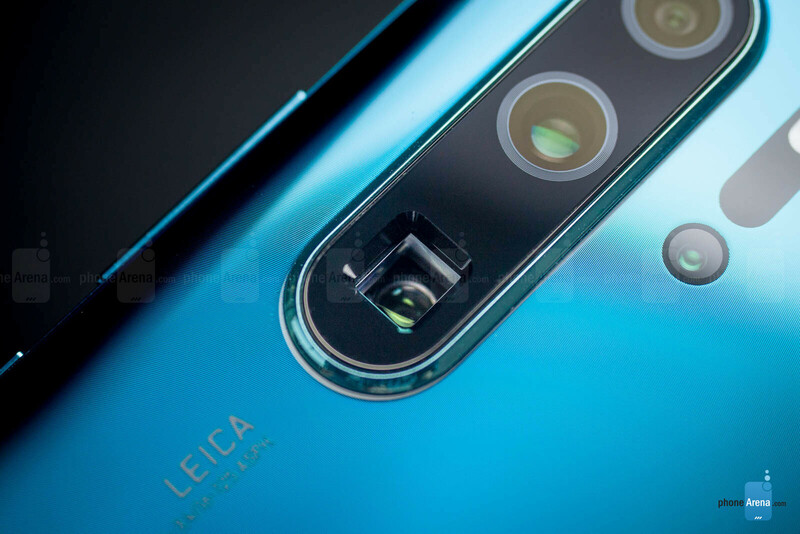 *This review has also been updated with impressions from the smaller Huawei P30, another phone with a more compact size and lacking the periscope camera, but similarly powerful and well-built. With their gradient finishes and solid build quality, Huawei phones have managed to stand their ground in the flagship space and become easy to recognize in an ocean of me-too rectangular slabs. The Huawei P30 and the P30 Pro continue this tradition and come in a wide selection of new colors, all of which look nice. Both on the P30 and the P30 Pro, you have a classic black and then a white color version, and while those look good, it is the other three colors that really stand out. 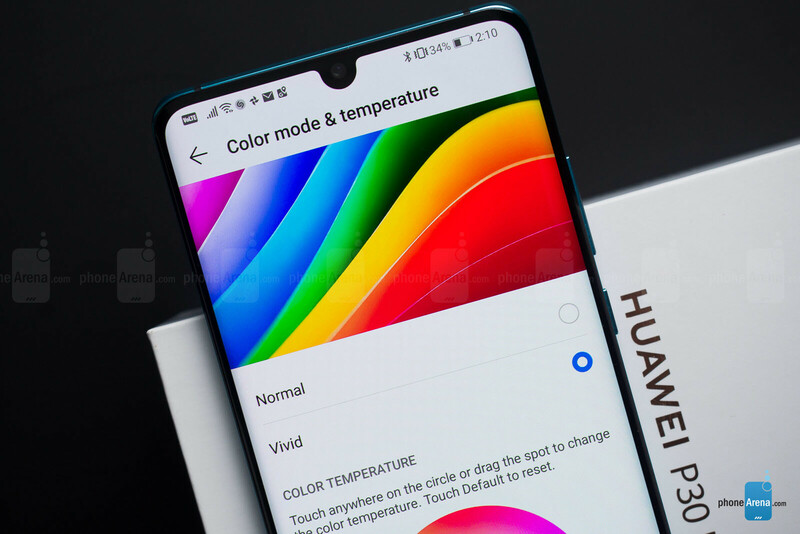 There are ‘Amber Sunrise’, which is a bold, orangey shade of red; the ‘Breathing Crystal’ gradient with color flowing from white to blue; and finally, our favorite, the‘Aurora’ blue-and-green gradient, a new twist on the Huawei ‘twilight’ gradient, but one that is lighter and looks even better with colors flowing as light hits the phone from different angles. One curious detail is that the P30 Pro comes with flat top and bottom, but unfortunately, it is very top-heavy and it cannot stand on its own when you place it up-right. The P30 Pro also features a 6.47-inch AMOLED display that tapers around the sides. I have had a few issues with accidental touches and swipes because of the tapered edge on Huawei’s previous flagship phone, the Mate 20 Pro. Here, the tapered edge is not as wide, so I found this to work out much better, but still, it is not quite as bullet-proof as a flat display. Then on the other hand, these tapered edges are what allows this phone to be far less wide than a similarly sized flat screen, which I really like, so it’s a happy medium. The major stand-out feature of the regular P30 is just its physical size: it is a smaller phone, much easier to hold and use with just one hand. There is also no headphone jack on the P30 Pro, and not even a headphone jack adapter included in the box with the phone. This practice has almost become the norm in the flagship space these days, and companies like Samsung and LG who still offer an audio jack on their phones are turning into an exception. Many people who use wired headphones would find it annoying that the P30 Pro lacks one. Interestingly, the smaller P30 model does have a headphone jack on board. Huawei also includes one feature that you can rarely find on another flagship phone: an IR blaster! Located at the top of both phones, the IR blaster allows you to use your phone as a remote control for your TV, AC, or any other compatible gadget you have and it’s a cool extra feature. One more thing: the P30 Pro is IP68 water protected, which translates into an ability to survive drops in water of up to 6 feet deep for as long as 30 minutes. Or for my purposes: to take it with me in the shower and blast Spotify at full volume without worrying that a few drops of water might damage the phone. The small P30 version will only withstand the occasional splash, but it does not have explicit water resistance. 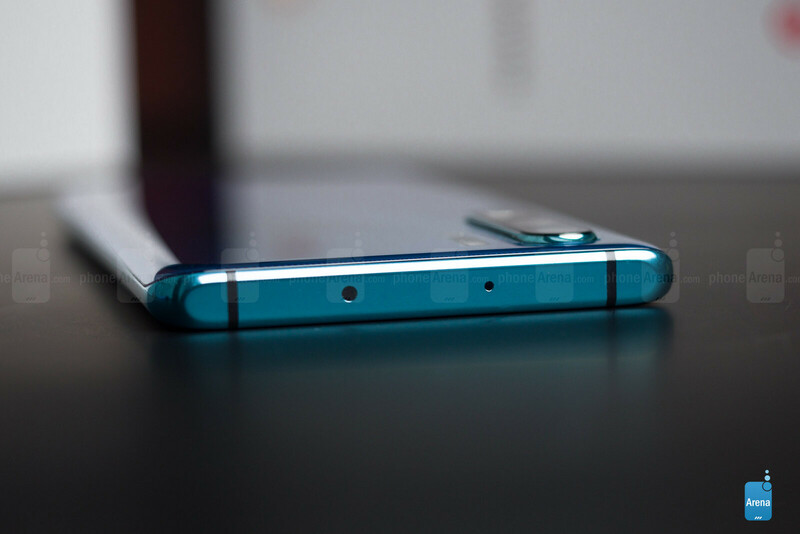 The 6.47-inch AMOLED screen on the Huawei P30 Pro has a Full HD+ resolution (1080x2340 pixels), making it not the most pixel-dense around, but definitely sharp enough so that you see no actual pixelization in daily use. A Quad HD screen would have also put a higher load on the battery, so we don’t really mind. This screen is also slightly better than the one on the Mate 20 Pro. The Mate had a very slight greenish cast, while this one here has more balanced colors and just looks nicer. Don’t forget that by default the screen comes with a cold tonality, but you can easily switch to warmer tones in display settings. You can also switch between a vivid color mode with saturated colors and a more toned-down option. See our detailed testing below if you tend to get really nerdy about screen stats. One thing I have noticed is that at night, when I use my phone and the lights are out, the minimum brightness level does not go as low as I would have liked and ends up hurting my eyes, so I wish the minimum brightness could go a bit lower. That’s not a deal breaker (there are third party-apps that dim it even further), but still, something to keep in mind. 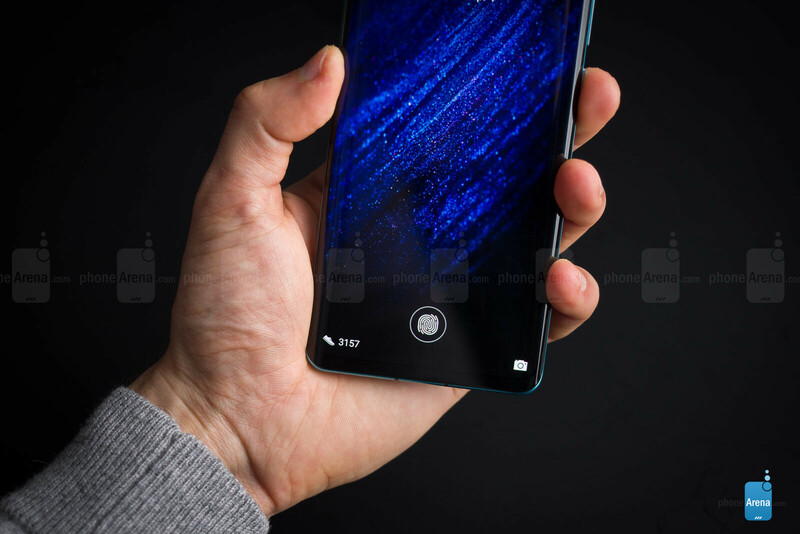 If you compare 2019 phones to devices from just two years ago, probably the biggest difference that you will notice purely visually is the quickly shrinking bezels, but with that tiny-bezel trend that the P30 Pro is a proud part of, you end up with no space for a fingerprint scanner at the front of the phone. And so, both the P30 Pro and the P30 have one of those fingerprint scanners embedded under the screen glass. It uses optical technology to recognize your fingerprint, blasting light and using the reflections to get a proper reading. 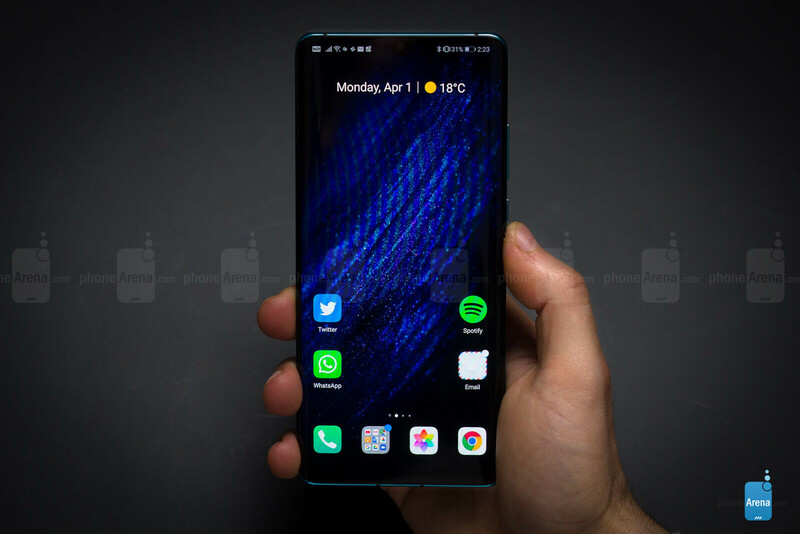 We have seen a few other phones use this technology: the OnePlus 6T and the Huawei Mate 20 Pro are two popular examples, but on both those phones, the optical fingerprint scanners do not quite feel great and you commonly get failed readings. The accuracy is just not very high, and you often have to try it a couple of times before your phone unlocks. It works, but it definitely feels like a compromise. Huawei says that the fingerprint on the P30 Pro, however, is 30% faster and improved. We were a bit skeptical at first, but after using it for a while, we are now convinced that there is indeed a big improvement. It’s still not as fast and accurate as a traditional capacitive fingerprint scanner, but it’s so much more reliable than those earlier attempts. Good job, Huawei! And the P30 fingerprint reader works equally well. One small thing to note here is also that while the Mate 20 Pro has its fingerprint scanner almost towards the center, the actual scanner on the P30 Pro is much lower, towards the bottom of the phone. We find this to be a much better position as it’s easier to find without looking. With the tiny teardrop notch on the P30 Pro, you also do not get the secure 3D face recognition that Huawei had on the Mate 20 Pro. And that’s a shame! 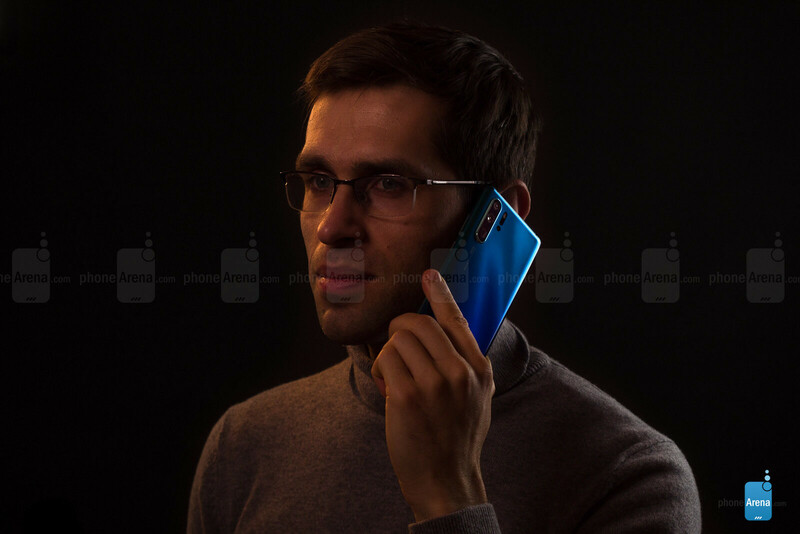 Face recognition on the Mate 20 Pro worked very well in different conditions, while the P30 Pro fingerprint scanner is not quite as reliable and effortless. Huawei explains that all of this is because of its focus on making the phone as compact as possible, with as tiny a notch as possible, so that’s the price you pay for the compact size. 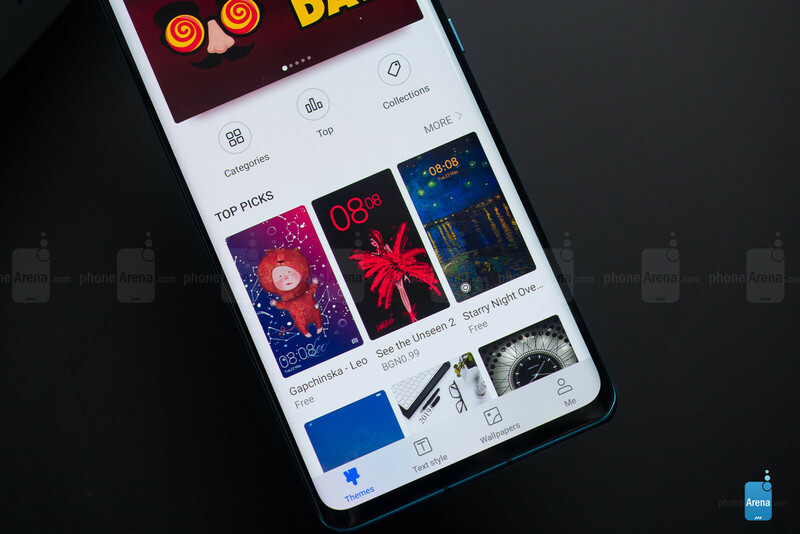 Both the P30 and the Pro ship with Huawei’s latest EMUI interface version 9.1, running on top of Android 9, and this new custom EMUI version looks better than before. Huawei has redrawn some of the icons, so they now look better and it takes inspiration from silk and paint for the wallpaper styling. 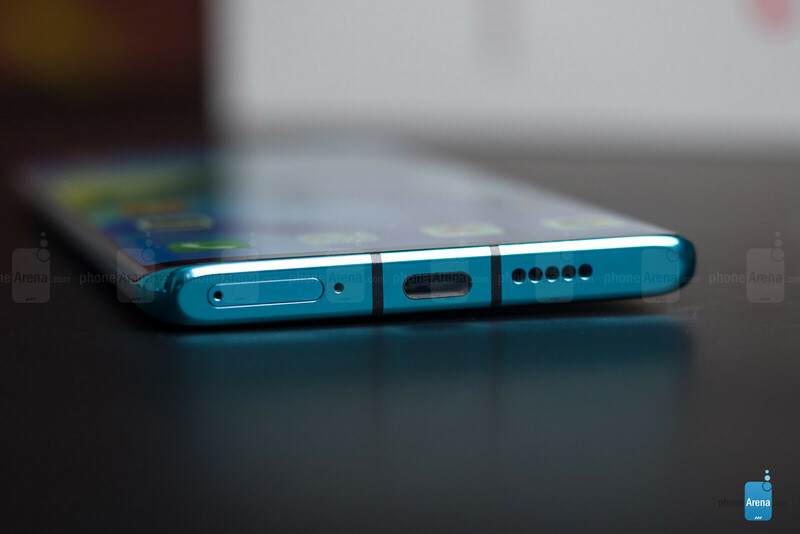 EMUI is a fast and well-performing skin that gets the job done well. Yet, it does not look great and it does have a few quirks. The most annoying one by far for us is that EMUI requires you to reach all the way to the top of the screen and scroll down from there to bring down the notification shade. On other custom interfaces, you can just swipe in the middle of the phone for this so-common action, but not on EMUI and that is just frustrating. A swipe down in the middle of the home screen here would surface a search menu, similar to what you get on an iPhone. We are not against having a search menu, but the problem with this particular one is that it is a few seconds too slow: there is a slight stutter when using it and the keyboard always appears after a few long seconds of delay. The whole point of a quick search menu is for it to be fast, and the Huawei search kind of fails that. Those two things, however, are hardly dealbreakers. They're just a few frustrations that you learn to live with. For all else, everything here works very well. By default, EMUI comes with no app drawer, just like iOS (but you can enable an app drawer in settings), and the styling of many icons is clearly “borrowed” by Apple, which is a bit shameful. And since we have started pointing out the flaws in EMUI that you probably will not hear about anywhere else, let us also point out some other weird decisions that Huawei has made. For example, you do have a raise to wake function on the P30 Pro, which works mostly well, but for some weird reason is disabled by default and hidden in settings. It’s almost like Huawei does not want you to use the coolest features in its interface! The two P30 series phones also come with a gesture navigation option that works quite well. You can either use the old, three-button Android navigation or use the new gestures. Those are the following: swipe up from the bottom to go home, swipe up and hold to see multitasking cards, and swipe sideways from the edge of the screen to go back. One feature that we appreciate here is the dark mode in the interface that you enable by going into Settings > Battery. It turns the background in the settings menu and notification shade to black, a color that’s easier on the eyes at night. Both the more affordable P30 and the premium P30 Pro are powered by Huawei’s newest in-house Kirin 980 chip. This was the first Android chip built on a 7nm manufacturing technology and it works about as fast as a Snapdragon 855, so these two are definitely up there with the fastest Android phones around. 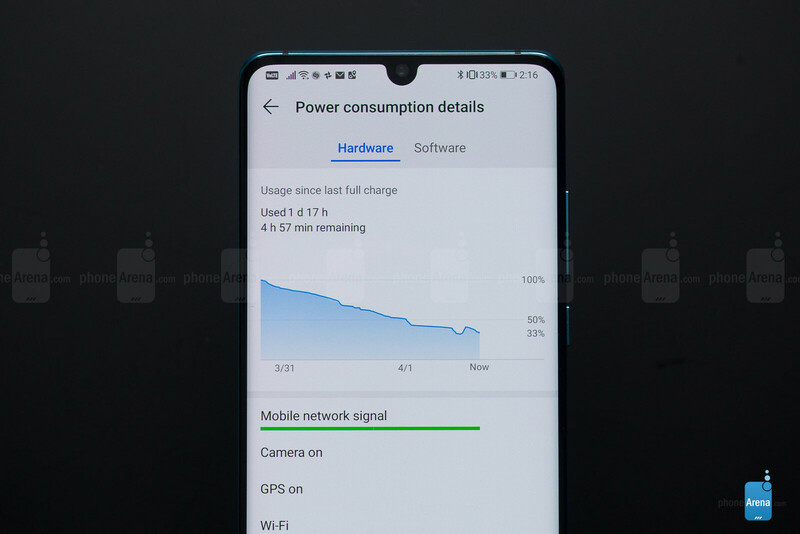 And it's good that Huawei has not downgraded the regular P30 in any way and it has the same powerful processor as the Pro. The Kirin 980 works alongside 8GB of RAM on the Pro and 6GB of RAM on the regular P30, while gaming and graphics are taken care of by the Mali G76 GPU. You should also know that by default, the phone runs in a power-efficient manner and if you really want to make the most of the processor, you should go into Settings, then Battery, and then toggle Performance Mode on. You also have a generous 128GB of on-board storage on both phones with support for a brand new type of memory card that Huawei calls nanoSD. A microSD card will not fit in this slot (the slot is tinier) and right now Huawei is the only company making and selling nanoSD cards, so there is that, but you can still easily buy a nanoSD card on Amazon. The benefit of all this, you ask? A new SIM tray that has two slots, but rather than the two slots being one next to the other and taking up a lot of space, the cards go on top of each other, and you have space savings. The most versatile camera phone around? Your main workhorse here is the 40MP SuperSpectrum sensor. What’s exciting and new with it is the RYYB arrangement. Here is what this means: rather than having a red, a blue and two green color filters as on practically all traditional cameras, the sensor replaces the green for yellow ones, so you have an RYYB arrangement. This has one key benefit: light sensitivity improved at up to 40%! This is a big leap. Not just that, this new arrangement also enables a better rendition of shades of red as well. Do remember that while you can shoot at the full 40MP, though, the default setting is 10 megapixels where you still get great quality thanks to clever pixel combining (and you also have smaller file sizes). The regular P30, on the other hand, features the same 40MP SuperSpectrum main camera, but it lacks the time-of-flight depth camera and it does not have the periscope system, but instead uses a regular, 3x telephotop zoom lens. There is also a difference in resolution as the ultra-wide camera is a 16MP one, while the Pro features a 20MP wide shooter. During the day, the P30 Pro shoots photos that look okay, but whether it was because of the new sensor or something else, there is a very noticeable yellow tint to photos and the colors overall don't look as lively and animated as you see on other phones. You get plenty of detail, but as evidenced in our blind camera test, the overall look from the photos during the day is not something that resonates well with most people, at least when compared to the very best smartphone cameras out there. At night, though, the P30 Pro is able to capture significantly more light than any other phone that we have used which is really impressive. You can shoot in pitch black conditions, when there is no light around, and still get an image where you see your subject. This is the extreme-case scenario, of course, and not something that you will do regularly. In your more common night-time photos where you do have some light, be it in a bar or out on the street, the P30 Pro does a trick that many other phones don’t: it sharpens photos by asking you to hold the camera still for much longer than a regular snap. This means snapping photos at night is much slower, but in exchange you get a brighter photo with more detail. Often times, this results in great shots that have a better exposure at night than on rival phones, so good job on this, Huawei! There's one more way to shoot at night. In addition to the default Photo mode, you have a Night Mode where you hold the phone still for around 6 seconds to get a superior image. So you usually get better pictures with Night Mode, pictures with much better dynamic reach and more light in them, but the trade-off is the long time to wait for every shot and you do lose out in terms of sharpness. The regular camera mode is fast, but not quite as fast. The result is that we are always torn: which mode should I use at night? And that dilemma is actually quite annoying and you often end up usually taking too many shots of the same thing in different modes. Shooting with the ultra-wide camera is a lot of fun, especially in tight spaces. Be warned, however, that you are paying for that sweet wide perspective with a noticeable drop in image quality compared to the main camera: the ultra-wide one does not quite have that level of sharpness and detail, plus it exposes differently and white balance often appears a bit bluish. You also have portrait mode on board. It uses the 27mm main camera in combination with the new depth camera, and you can also shoot at 2x and 3x digital zoom levels. Huawei has improved the separation of subject from background and you can now get details like individual strands of hairs properly separated from the background. But again, here you have two modes in the camera app that are often confusing: which one should you choose, the portrait mode or the aperture mode? You never know which one will yield better results and this adds confusion. And while you do get a periscope camera, you do not have a proper 2x telephoto lens that would be perfect for portraiture and need to rely on digital zoom. If you like wider portraits, that would not be an issue, but if you are looking for “classic” portrait snaps, rivals with a 2x telephoto portrait lens have the upper hand. What impresses most with the P30 Pro is the ability to zoom all the way in. The 5x periscope zoom gives you the balance of zoom and quality. You can also get a 10x zoom, as well as go crazy with up to 50x digital zoom, but the quality suffers the more you zoom further in. Keep in mind that at night, the periscope camera does not always work. You need to have daylight to make the best use of it, otherwise, the phone might just decide to use the digital zoom like all other phones out there. The AI-powered video modes from the Mate 20 Pro are also here: you have AI color and Background blur that either colorize your object and decolorize the background or create a cool blurred background effect for everything but the subject. We are also big fans of the built-in cinematic mode on this phone that allows you to record natively with a 21:9 aspect ratio and get a superb video stabilization. This mode is restricted to 1080p only, but we enjoyed using it tremendously. The P30 Pro comes with one loudspeaker located on the bottom of the phone and it sounds good, but not great. This is the one area where we feel that rivals like the iPhones or Samsung’s Galaxies have the upper hand as they deliver much more in terms of pure volume and richness of the sound coming via the loudspeaker. 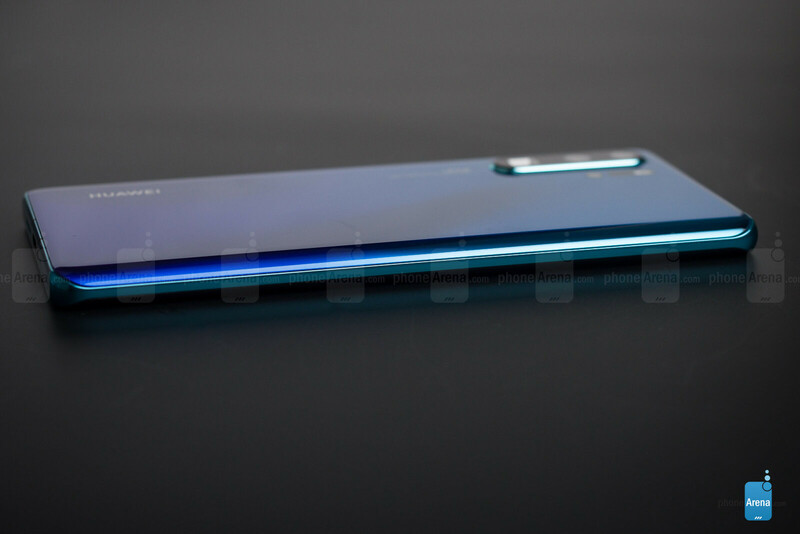 And one more clarification: while on the Mate 20 Pro the loudspeaker was built inside the USB-C port, here it is not. Instead, here we have a traditional loudspeaker next to the USB port. And once again, let’s point out that the P30 Pro does not have a headphone jack, and it does not even have a USB-C to 3.5mil adapter in the box (you have to buy one separately if you want to use classic wired headphones). That would be a bummer for some people. In an attempt to save every fraction of an inch to make the P30 Pro as compact as possible, Huawei has done away with the traditional earpiece speaker and is instead now using a brand new system that vibrates the screen to produce sound. Those who follow the industry closely will know that LG has done the same thing on its latest G8, and Huawei achieves that with a fancy new magnetic suspension system that translates vibrations into sound when you press your ear against the top portion of the screen. This is plain cool tech, but it also works well: calls sound clear and crisp, and they are more discreet and not transmitted to everyone around. The P30 Pro sports a massive, 4,200mAh battery inside, bigger than most of the competition. So how is the actual battery life? You probably would not be surprised to hear that it’s great. With moderate use, we are getting about two days on a single charge, more than you can get with most other phones. Unfortunately, we could not run our proprietary test on the P30 Pro, just like we could not do our test on the Mate 20 Pro. The reason for this lies in the broken manual brightness controls here. Just like many other Huawei and Honor devices, even when you change brightness from automatic to manual, it will still fluctuate automatically. No other phone does this and it is a frustrating limitation: our test method relies on a set brightness level so that you can get comparable results across various phones, so that is why we could not run our test on the P30 Pro. The P30 Pro also sports 40-watt fast charging in the box, which is simply a great extra. You can get a 0 to 70% charge in just 30 minutes, so you no longer need to recharge your phone at night for long hours. The regular P30, on the other hand, has a fast charger too, but the speed there reaches up to 22.5 watts. This is still plenty fast and provides adequate charge rates for the smaller battery that the P30 has. You also have support for fast wireless charging via the Qi standard, and just like the Mate 20 Pro, the P30 Pro also supports reverse wireless charging, so it can act as a wireless power bank. You could theoretically use this to recharge another phone, but that would drain your battery too much, so the best use for this is with compatible wireless headphones or smartwatches. So… let’s sum things up. 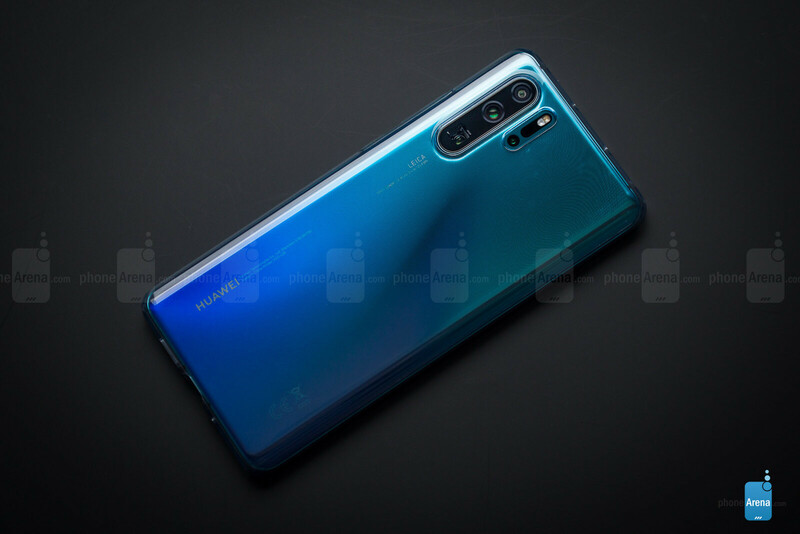 The Huawei P30 Pro is a flagship-level, $1,000 phone with a good-looking design, somewhat quirky interface, fast performance, great specs, outstanding battery life, and a camera that captures good-looking photos most of the time and that brings a revolution in terms of being able to zoom 5x times or even 10x times, as well as in capturing photos in pitch black environments. If you have a kid and you want to take pictures of it playing sports, the zoom functionality would be super handy! The P30 Pro also has the fastest in-screen fingerprint scanner we have ever used (which is still not as fast or as reliable as a traditional fingerprint reader) and the fastest charging on a mainstream phone. There are a few things, however, you should know before buying it: first, if you live in the US, you can only get it via smaller importer shops; it will only work on AT&T and T-Mobile, and you will not get a warranty. Not the best offer around, is it? Secondly, the loudspeaker quality is not great, so if you care about that, look elsewhere. Thirdly, software updates may arrive months after Google launches them and you don’t even know whether it will get updates after the first year. If you change phones every year, you probably don’t care, but if you plan to hold on to it for longer, you should know that. Finally, you should also know that five months after the launch of the Mate 20 Pro, its price has now dropped by more than $250. This is kind of normal for most Android phones, just be warned that if you wait a few weeks or a couple of months, you will probably be able to get a much better deal on the P30 Pro. This is a very interesting phone. Your space button is obviously broken. My guess is that he was typing on a Macbook and the butterfly keyboard didn't do him any favors. I wasn't sure I wanted to trade in my S10+ for this, but earlier today, I had my hands on this bad boy and I preordered it immediately, the mono speaker was the only thing I was worried about but I am glad it's not weak, it's no match for the S10+'s dolby atmos stereo speakers, but it's not bad either. What's great about the deal we are getting over here, is that you're getting the 256 gb + 8gb of ram as the base model, and you get the Huawei GT watch and their wireless charger as a preorder gift. And as much as the camera looks brilliant in YT reviews, it's mindblowing when you try the zoom feature in person. The S10+ is still the better overall device imo, but if you're someone who prioritizes cameras on smartphones like myself, and money isn't an issue, this is the phone to get. It's a great phone for sure. I'm also going to check it out this week to make a decision whether I'm gonna get it or not. Only things holding me back are the lack of microSD, FM radio and the 3.5mm jack. Anyways, enjoy yours! I'm sure you will with the camera. With 256gb, I am not worried about sd cards, although having an sd card slot would've made much more sense than having to use their proprietary cards. 3.5mm is also not that big of an issue, as I have transitioned to bluetooth headphones since 2017. Let me know when you switch to a new phone, I'm interested in knowing what you will be getting next. Good luck my friend. Thanks for the comment. I wasn't a fan of Huawei, but after watching several reviews on YT and also some articles (and comments) like this one, I think i'm interested with this phone. Well, I think I will wait for the price drop if I want to buy one of them. This is a fair score for this phone. But you still did the S10 wrong. "Disappointing loudspeaker quality" is a pro for me. Fck you if you play loud music and videos on the subway at 7am in the morning. Nobody wants to listen to your shtty emo hip-pop. Save up and buy a pair of headphones. Actually, I need that loud speakers for my daily run. I don't like wearing headphones because you can't really concentrate on your surroundings. You don't /need/ loud speakers for your run. Not-so-loud speakers are fine. Hey Victor, how many apples did you eat before reviewing this device? First of all I think this is a pretty good, unbiased review of this smartphone. Congrats to the writer! I would just like to point something out, I think the price of a high end smartphone shouldn't be a con anymore (especially if it is in the same price bracket as other high end smartphones). Don't get me wrong I think the price of modern day high end smartphones is ridiculous, but this is the market now and people have voted with their wallets in favour of this. I would suggest to list the price of a smartphone a pro if it is reasonably priced for what it is offering (aka OnePlus, Xiaomi, and Huawei's Honor). 10/10 cons are just a minor listing and based on preference of the reviewer.. Price comes with a major technology advancement like unlike the IPhone.. So con such thing is just looking something you dont like..
Too many issues for 9/10. Diming, speaker/call quality, video quality, no USB-C->jack cable in box, poor optimization (on launch). A good phone but not a 9/10 at all. Binning does not improve quality. It will give same detail amount of native 10MP sensor. Downsampling gives you details of 40MP but size of 10MP photo. Took you guys long enough for the review. It must have been hard trying to figure out how to not give the P30 pro a better score than the S10. "A camera that captures good-looking photos most of the time" this review was a totally biased hit job! Did we expect anything less? We all know Iphone Arena's method of operation. Give as little praise as possible, downplay strengths and greatly exaggerate cons Unless of course, they're reviewing and iPhone or a Pixel. It's an interesting phone I'll give it that. But I wish they can clean up the software side. The phone still has so many things that copy iOS. Sure, Samsung were guilty of some of it, along with MIUI and other chinese phone manufacturers, but I think Hwuawei can do better.